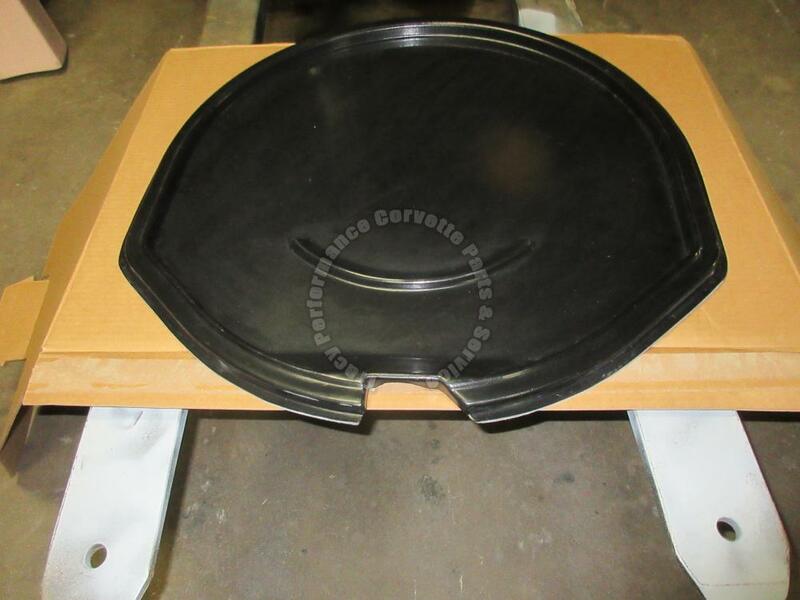 This is for a New High Quality Reproduction Corvette Matched Die Molded, (Moulded), Fiberglass, (Fiberglas, Fiber Glass), Spare Tire Bucket Lower Tray without the V-shaped Support Brace for a 1963 63 1964 64 19635 65 1966 66 and 1967 67 Corvettes. The upper bucket assembly is also available in another listing. The V-Bar, attaching rivets, front support bolts, upper bucket attaching bolts and the rear lock bolt assembly, lock, key and boot are available separately at extra cost. This item can be picked up at our Corvette Parts and Service Center, Tracy Performance, 29069 Calahan Road, Roseville, Michigan 48066-1805, (just Northeast of Detroit), to save shipping costs. In the lower rear of the car.